Last Sunday morning I watched The Best Thing I Ever Made: Chicken Dinners. 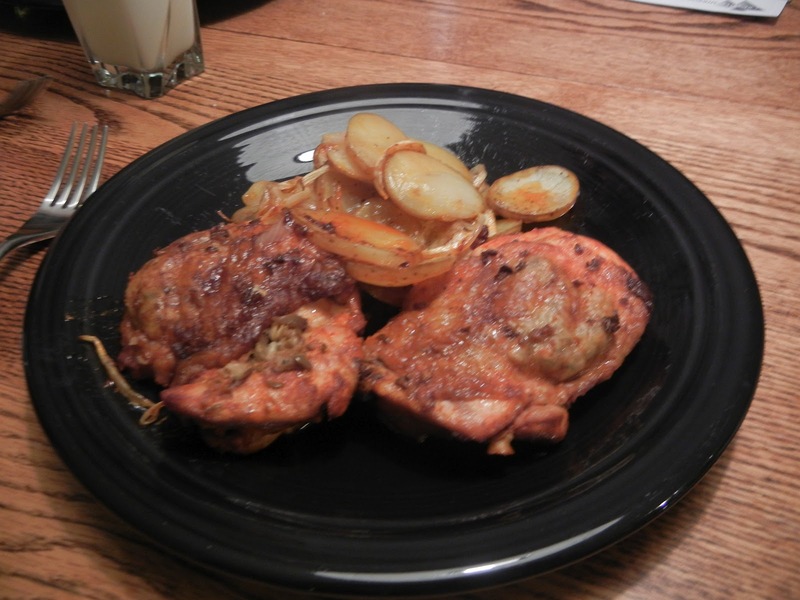 Alton Brown (who I use to really like, but now find him to be a bit grating) made Smoked Paprika Chicken Thighs with Potatoes and Onions. The kicker is that you put an olive tapenade under the skin of the thighs. I immediately knew I had to make this recipe. 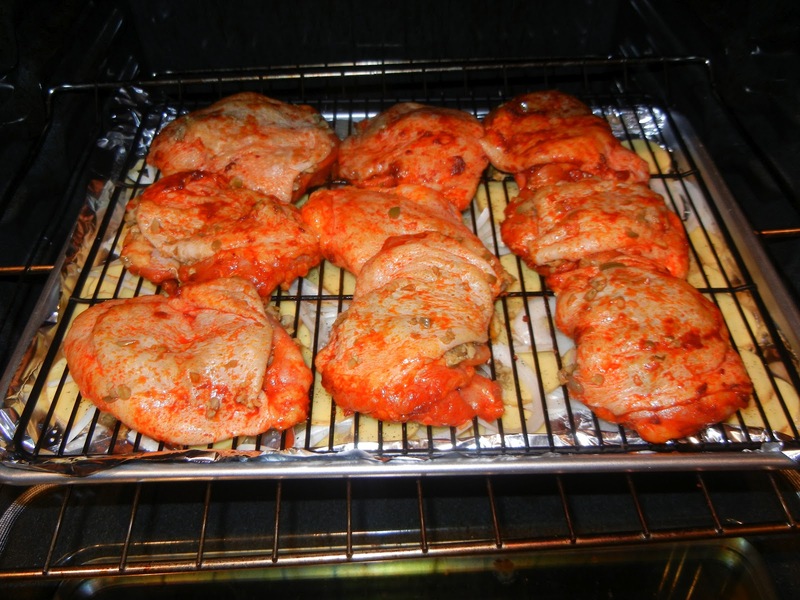 I love chicken thighs: they are cheap and have the most flavor in the chicken. I followed Alton’s recipe exactly – I tried to buy a pre-made tapenade, but my grocery was sold out. I even used my kitchen shears to bone (debone?) the chicken. 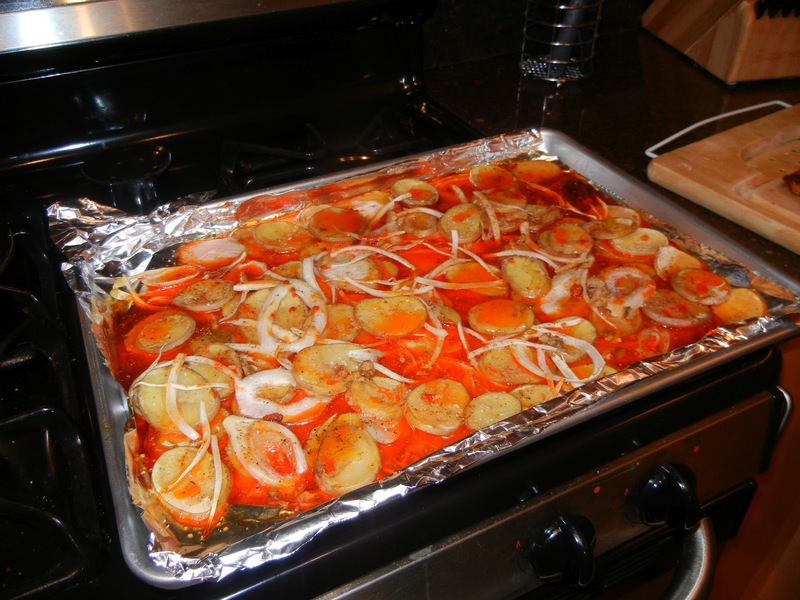 Potatoes, onions and chicken grease. I had to buy a new piece of kitchen equipment too – a mandolin. I will right a full review of this equipment and my history with this dangerous piece of kitchen plastic and metal. This recipe was super easy. Interestingly enough, the recipe turned out almost exactly as it did on TV, except for all the grease that came from the chicken and just drenched the potatoes and onions. Very shocking. The chicken was delicious. 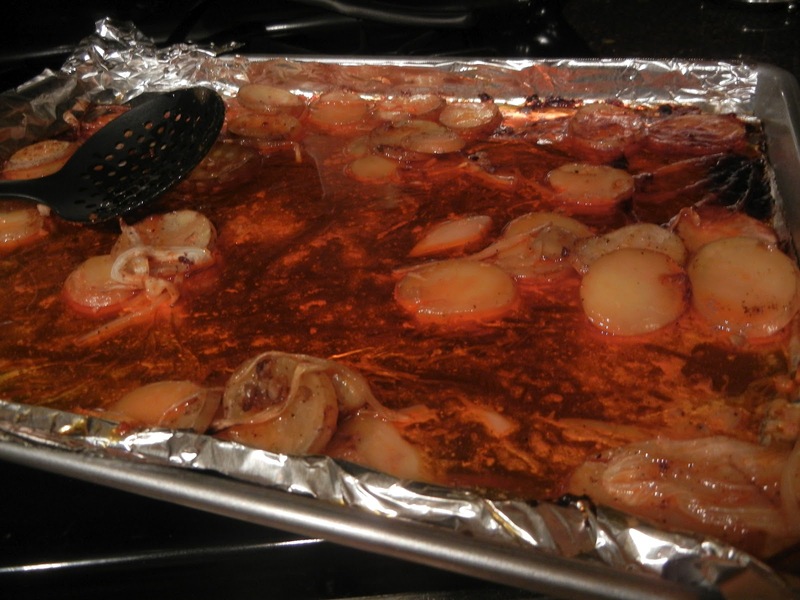 The potatoes were great, despite the pool of chicken thigh grease they were swimming in. Would I make this again…it is unclear. The chicken was very flavorful. I don’t know about the tapenade under the skin. It was good, but I don’t think the olives added enough for the work involved. I’m also super surprised about the amount of grease/liquid too. 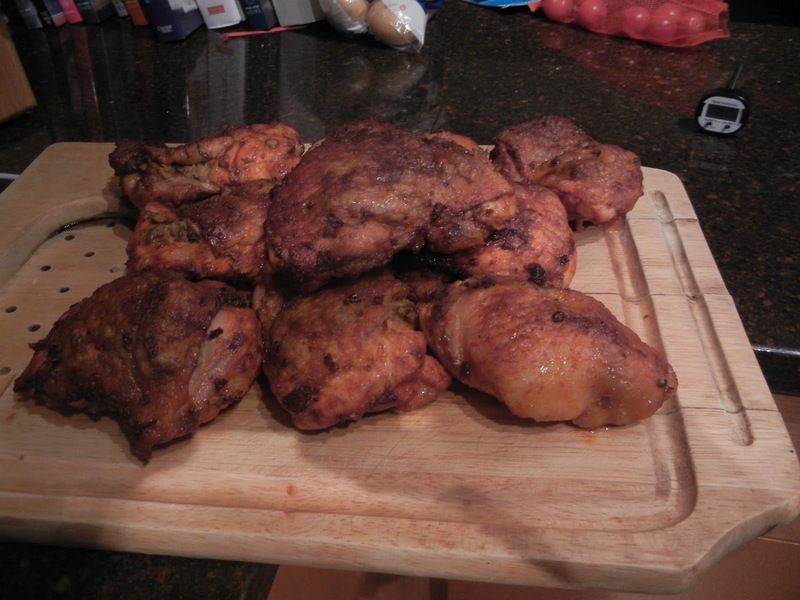 If you like olives and chicken thighs, you should give this recipe a try…and let me know what you think. Have you made an Alton Brown Recipe recently? Do you have a nasty mandolin accident you want to tell us all about? What is your preference: Breast or Thighs (Chicken, I mean). By Tim in Food on April 20, 2012 .